Over the last 2 years, Projects in Place has been working with a very dedicated group of parents and educators – the PJ Community Park committee – to re-imagine the grounds at Ecole Pauline Johnson into an all-inclusive Community Park. 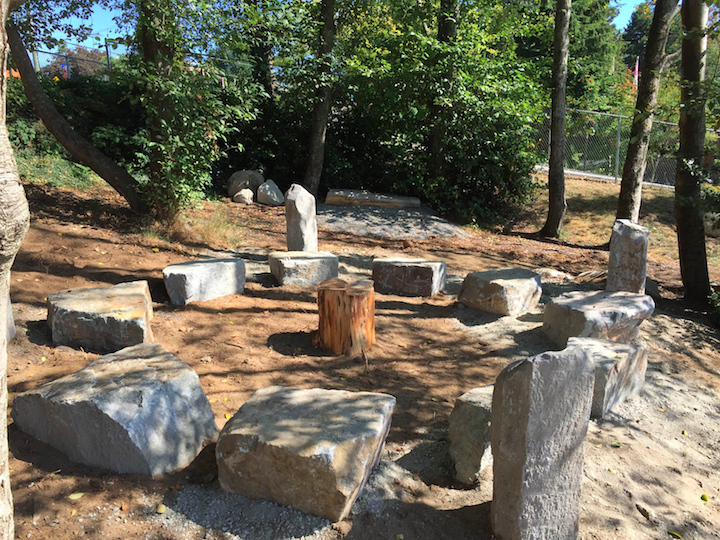 King Kubota Services has constructed the foundation of the Park over the summer in preparation for our Fall build. Come be a part of the Community Build Event and help us plant, from the wetland to the community garden. We need assistance with building a bird sanctuary, water sluice and fun elements to finish the Park. We are finishing off this great community event on Sunday @ 5pm with a Community BBQ. Volunteers of all skill levels are welcome. Note that we will proceed with the builds rain or shine (there will be protective cover on site) and that participants in the build need to be at least 18 years of age. Childminding will be provided with activities. Please sign up here. Further details to come!